Down goalie P. Kelly caught off guard but ball still goes wide during the Kerry v Down All Ireland Senior Gaelic Football Final, 22nd September 1968. 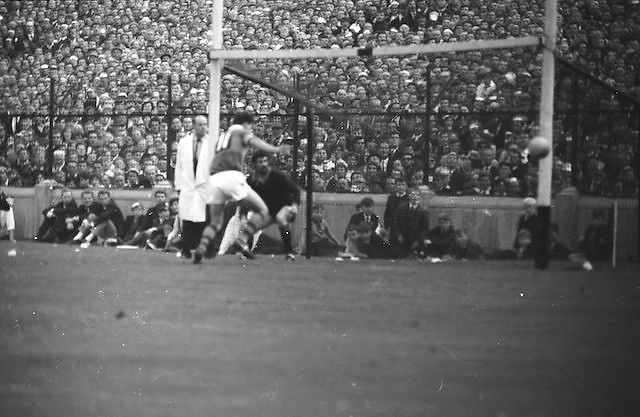 Down goalie P. Kelly caught off guard the ball goes toward goal but ball went wide during the All Ireland Senior Gaelic Football Final Kerry v Down in Croke Park on the 22nd September 1968. Down 2-12 Kerry 1-13.